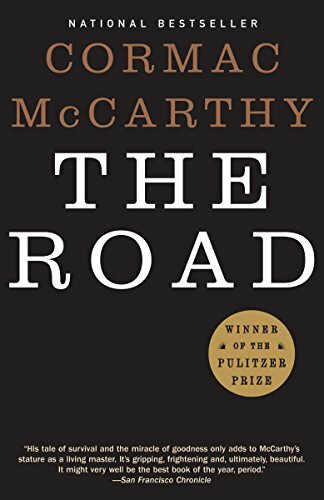 My aunt sent me a copy of The Road, by Cormac McCarthy, and I finally got around to cracking it open a couple weeks ago. It… took me a bit to get into. I didn’t like the extremely slow start. The way he chose to write the dialogue isn’t to my taste. And everything was so bleak… something I’m not really in the mood for often anymore, given the current state of the world. Yet I found myself getting drawn into the story of the man and his son. I found myself caring about these nameless characters, and wishing they could find SOME bright hope in a dying, scorched world. And I cried at the end of it. I think the father-child bond was what did it for me. I kept trying to imagine myself in such a dire situation, watching my own children slowly wasting away, and it hit me right in the amygdala. It’s a parent’s worst fear. And I loved how gentle he was with his son, even as he taught him hard truths of the world, or his son figured them out for himself. He took ownership when things went wrong, and realized that when his son did something incorrect, it was his own fault for not double checking things, or teaching his son how to do it properly. If you can get used to the style of the writing, the book will grab you and not let go until the very end. If you’re a dad who loves your child(ren) fiercely, this won’t be an easy book to read, but there are some great lessons in the darkness. 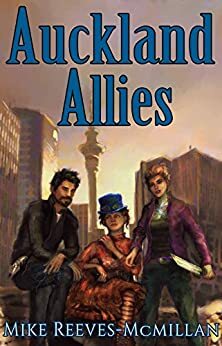 Three low-powered magic users work together to uncover a conspiracy that threatens their way of life. The story is well written with a quick pace and enjoyable characters. I like Sparx a lot… the non-toxic masculinity was refreshing to see. The banter between the characters was great, and there was a lot of action which always keeps me hooked to a story. I will definitely continue on with this series, and recommend it highly! This one had been on my TBR list for a while, and I’m glad I got to it. The writing is excellent, pacing quick, and characters interesting. You’re in Jetsam’s head throughout most of the story, an orphan who has banded with other orphans to survive in the sewers. At night they come out and take what they need to survive. This story starts out looking like a simple happy-go-lucky tale with a young protagonist, but quickly turns to a life-and-death struggle. 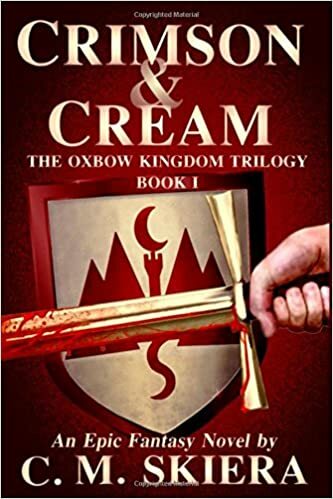 With powerful monsters, an irate lord, and tenacious bounty hunter in his way, Jetsam has to use every ounce of cunning and speed he possesses to avoid a grisly death. The twist near the end didn’t surprise me, but that’s okay. The story was still fun enough that I enjoyed it from cover-to-cover. I’ll definitely be checking out the sequel! There are five short stories included in this collection, and they’re all a lot of fun! 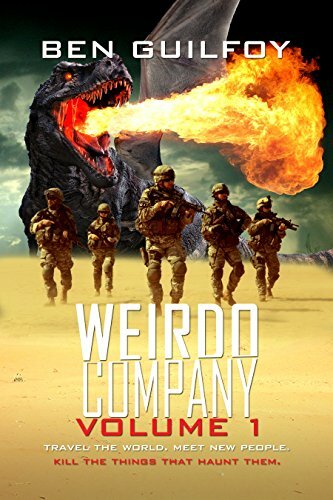 When it started out, it felt like your standard military story that dealt with stuff that was a little weird. But that weird got BIG AND CRAZY really fast! The stuff Weirdo Company deals with is amazing! I mean, the titles of the stories probably give that fact away… but actually following the characters through it all is something else. And it felt like the stories were anticipating my questions, sometimes. I’d be reading, and thinking, “Hmmm, I wonder about X.” When that happened, it wasn’t long before the answer came. That built a lot of trust between me as a reader and the author early on, so I relaxed and enjoyed the stories more as the series continued. The fifth story had a couple hiccups in it, with what I think was a missing word, and a couple words that I think were typos. I hadn’t noticed it enough to bother me in the other four stories, and I was enjoying it all so much by that point that it didn’t bug me too much. I will definitely be checking out future volumes in this series, because this was a great read! So this month was pretty awesome. Not only has my writing started making money for the first time since I started writing, but a fan group appeared on Facebook. When I was invited to join my own fan group… no words seem adequate. It was surreal seeing “Toxophiles United” and watching the group grow. At the time of publishing, it’s up to 15 likes. All of that? That’s pure author fuel! If you’ve read my books and haven’t left a review yet, those things keep me going. Plus they help other people find my stories. So head on over to Amazon and/or Goodreads and let people know what you think! New business cards! I gave away so many of them at the first two conventions of the year that I had to get more. I’m not 100% sure they’re worth having. For the amount that you spend on them (I only pick them up when I get a good deal through VistaPrint), and the number you give out with no bites, it sometimes feels like they’re not a wise investment. But at Kitchener Comic Con, one person who took a card checked out book 1 through Amazon, and liked it enough to get the sequel. I’m sure other people have used the cards, too, but maybe just enough to break even. After giving out all those A Noble’s Quest cards, I thought I’d move on to the next book in the series. Once they’re gone, A Hero’s Birth is next. I can’t imagine going through 250 business cards faster than I can publish books, so this strategy might just continue on for the rest of my writing career. Gotta catch ’em all, or something. I received payment from Amazon for January, and I have to say… I’m really happy with it. See, I made as much in one month as I did all last year through Amazon sales! Now, before you think, “Whoa! You must be rolling in it!” let me just say I didn’t make a heck of a lot last year… just $40. But still, I’m competing against myself, and only myself, so I’m really excited about this, especially seeing that I’ve continued to have some sales through February and March. Work continues on both A Queen’s Edict and Wizards’ War. The book is closing in on 85,000 words. I’m really happy with how it’s progressing. And I’m almost done the cards for the game. I’ll be bringing it to SkyCon Light in Kitchener on April 28th, so I need to get those cards ordered soon!